The planned Callisto hardfork No. 1 enables the cold staking protocol. Note: This is not an airdrop or swap. 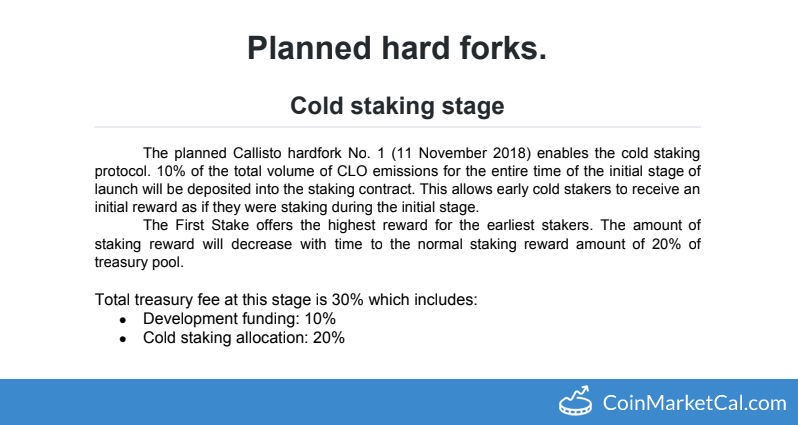 Hard Fork is a Fork/Swap event of Callisto Network (CLO) which was added in CryptoCrawl's database on May 30, 2018, According to our source Hard Fork will happen on 11 Nov 2018. For your reference, source and proof of Hard Fork has been attached below.